The purpose of this award is to give annual special recognition to spouses or widows of AG Corps Soldiers, DoD or DA Civilian Employees who work in or support Human Resources (HR) military management, or spouses of AG Corps Retirees for contributions of outstanding significance to the Army, AG Corps, and/or service to Soldiers. Spouses / widows of all Adjutant General’s Corps Officers, Warrant Officers, Noncommissioned Officers, Soldiers, and Civilian Employees, to include spouses / widows of SESs, General Officers, Field Grade Officers, senior Warrant Officers, senior NCOs, senior Civilian Employees, and Retirees assigned or affiliated to the AG Corps or Army HR Community. The annual AG Corps Awards Program MOI provides all criteria for the Esther De Berdt Reed AG Corps Spouse of the Year Award. The MOI is distributed to major Army command headquarters and S1Net. Contact the AG School Operations Division, (803) 751-8300, if you need a copy of the MOI. Spouses who provide outstanding examples of volunteerism in support of Army HR / personnel programs in terms of highly successful mission accomplishment. Spouses who have an established a pattern of excellence, as recognized by previous accomplishments (e.g, Commander’s Award, Community Recognition). Spouses who have demonstrated community involvement with linkages to DoD, DA, Army, AG Corps, or local community. The Esther De Berdt Reed AG Corps Spouse of the Year Award is established to annually recognize the contributions of AG Corps or Army HR spouses or widows. The award is named in honor of Esther De Berdt Reed, wife of COL Joseph Reed, the second Adjutant General of the US Army. Esther De Berdt Reed epitomized the best qualities of an AG Corps spouse who placed service to the Continental Army and America’s first Soldiers during the American Revolutionary War above all else. Esther De Berdt Reed built and led the largest women’s organization of the American Revolution. After the news of the battles of Lexington and Concord, her husband (Joseph Reed) was summoned to join General George Washington as an aide and military secretary. Life was uncertain and dangerous, as it was for countless other women whose husbands joined in the Revolution against the British Crown. In the fall of 1778, when the American Revolution had been underway for two years, Joseph Reed won election as Governor of Pennsylvania. Esther used this elevated position to show her patriotism by forming the Ladies of Philadelphia, an organization through which women could raise funds to assist General Washington’s Army. The Ladies of Philadelphia, headed by Esther, worked to raise the incredible amount of three hundred thousand continental (paper) dollars, or approximately seventy-five hundred dollars in specie (precious metal coin) by walking door to door requesting donations from over 1,600 contributors. This amount of money was extraordinary for this time in American history. Esther de Berdt Reed did not live to see her efforts fully realized. She died on September 18, 1780, at the young age of 34. 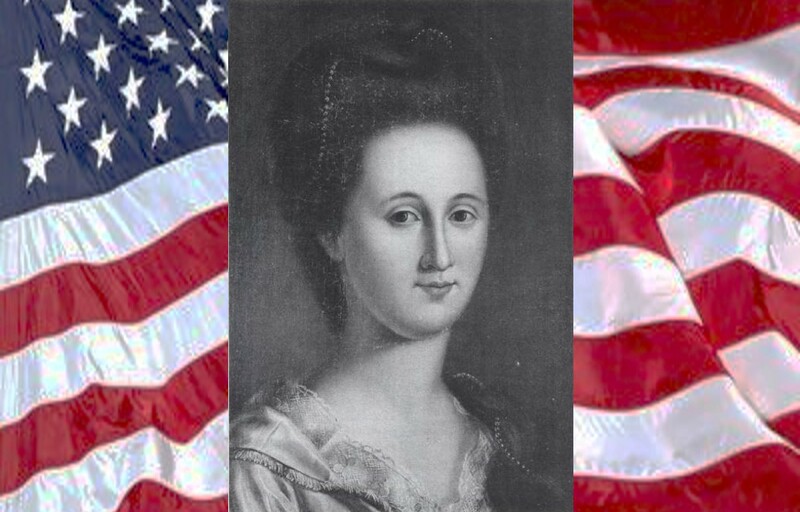 Sarah Franklin Bache, the daughter of Benjamin Franklin, took over Esther’s position and finished the patriotic project. Although she did not see the project finished, Esther’s efforts did not go unacknowledged. All of Philadelphia mourned her early death, and a moving obituary praised Esther for her efforts and patriotism. Detailed recommending procedures and all criteria for the Esther De Berdt Reed Spouse of the Year Award are found in the annual AG Corps Awards Program MOI. The MOI is normally distributed to major Army command headquarters and S1Net on or about in late summer of each year. Nomination packets are normally required to be submitted to the AG School at Fort Jackson, SC by February 1st of the following year (see MOI to confirm actual suspense date). Additionally, contact the AG School Operations Division, (803) 751-8300, if you need a copy of the MOI. The Chief of the Adjutant General’s Corps, or his/her representative, will appoint board members to select the AG Corps Spouse of the Year from the nominations received from the field. The Chief of the Corps will notify the winner, the winner’s chain of command, AGCRA, and provide an Army-wide announcement. The winner will be presented the Esther De Berdt Reed Spouse of the Year Award during the Adjutant General’s Corps National Ball at Columbia, SC. All travel costs for the winner will be borne by the winning spouse or widow. The winner’s photo will be displayed at the Adjutant General School and the winner’s name will be added to the AG Corps Spouse of the Year plaque hanging in the AG Corps Hall of Honor. Award recipient will be published in “1775″ and on the official AGCRA website.